Alright, who is ready for a recipe for scones made with buttermilk? 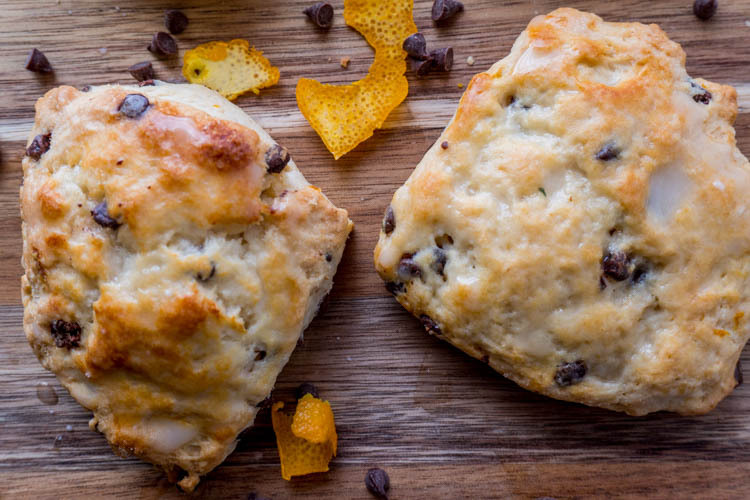 These are the best buttermilk scones and they are bursting with fresh orange flavor and yummy chocolate chips. These scones are so delicious! Even if you skipped the orange and chocolate they are still super soft and yummy! 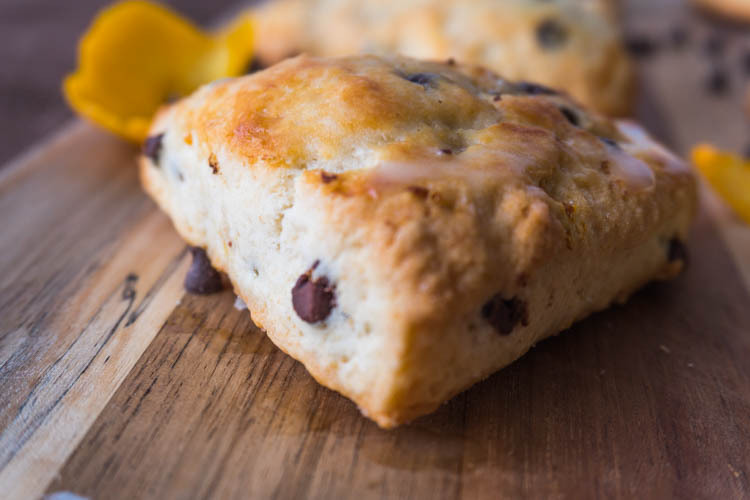 The buttermilk makes the scones light and fluffy and gives it a delicious depth of flavor! 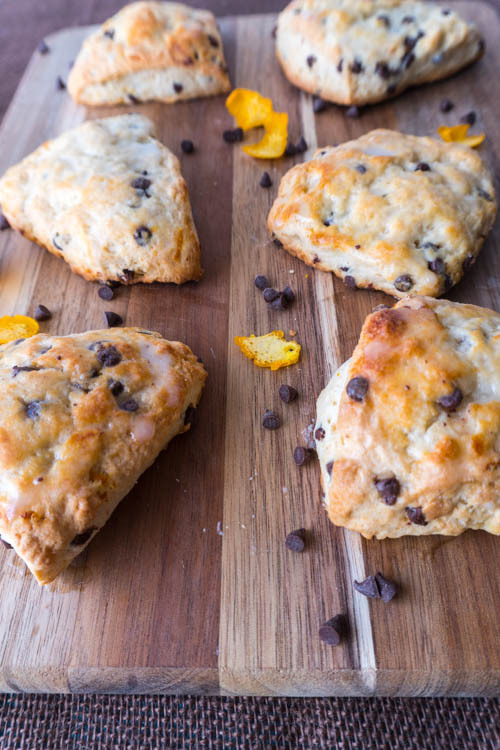 Oh, and these scones are super easy to make. You really can’t go wrong with them! First mix together the dry ingredients, then cut in the butter. Add in the wet ingredients and then the chocolate chips. Brush with some leftover buttermilk and sprinkle with a little sugar. Bake, glaze and now you are done. 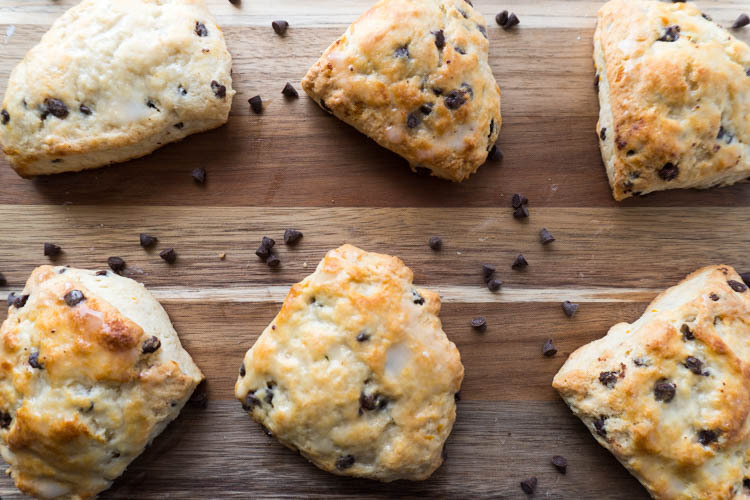 You now have a dozen, soft and amazingly delicious scones! Scones made with buttermilk are seriously some of the most delicious scones I have ever had. If you don’t believe me, give them a try! I couldn’t stop snacking on these and had to promptly think of who I could share them with so I wouldn’t eat them all! So, make these and make not only yourself happy but others too. Sharing is a wonderful thing. 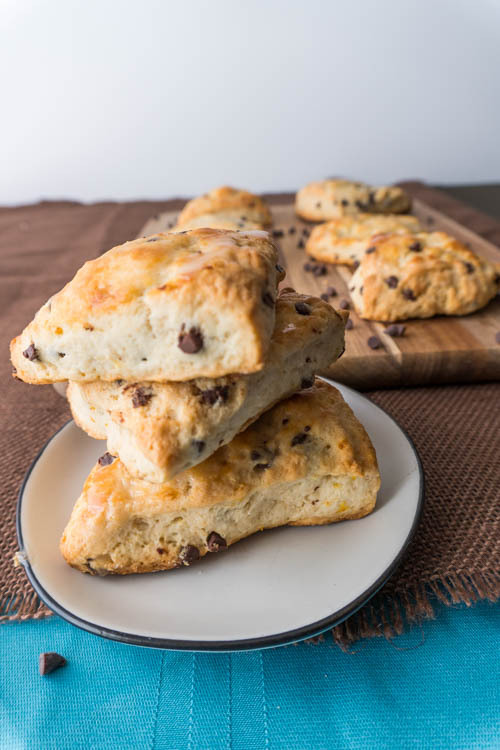 These scones are quick to make and are perfect any time of the day, but making them early and then sitting down with some hot tea, cocoa or coffee, and a light, sweet scone sounds perfect. Maybe curl up with a good book and a big squishy blanket. That sounds amazing! They also store well. I just put them in a gallon zip lock bag and they stayed fresh for several days. I’m not quite sure how long they keep because they were eaten up pretty fast! And although you don’t need to add the orange peel, orange extract, and chocolate chips, but if you are able to then definitely do it! 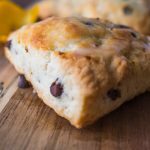 It adds that little something extra that puts this recipe for scones using buttermilk over the top! You won’t regret it I promise! For other delicious recipes check out this Easy Sour Cream Coffee Cake, and this Easy and Healthy Berry Smoothie! These are the best buttermilk scones! They are bursting with orange and chocolate and perfect for anytime of the day! Preheat oven to 400˚ and line a baking sheet with parchment paper. Combine flour, sugar, baking powder, baking soda and salt in a medium sized bowl. Cut in the butter. You can use a fork or your hands! You want the dough to be somewhat clumpy/sandy. Mix in the orange peel. Add the buttermilk and orange extract and mix until fully combined. Add chocolate chips to dough and mix until evenly distributed. Turn dough onto a lightly floured surface and roll out. You can cut the scones into any shapes you want, but I opted for wedge shapes. To get the wedge shapes I separted my dough into three balls, flattened each ball into a ~5in circle and then cut them into four wedges. Place scones on lined baking sheet. Brush each scone with buttermilk and sprinkle a little sugar on each one. 10. While baking mix together the powdered sugar and milk to make the glaze. You can add more or less powdered sugar or milk to get the thickness you prefer. 11. Drizzle with glaze when the scones are done- even though they are good enough to eat with it! Recipe adapted from Taste of Home Cranberry Buttermilk Scones.